From today, all first time buyer purchases up to £300,000 have NO stamp duty, and if the FTBs are inside London there will be no stamp duty on the first £300,000 of their purchase. This will make a significant impact on FTBs across the country and it's already in effect - the change started at midnight last night. Neal Hudson of Residential Analysts, and formerly of Savills, says first time buyers paid around £1 billion of the £8.6 billion stamp duty paid on residential properties in 2016/17. His figures are based on his own analysis of HM Revenue & Customs and UK Finance data. Other figures from Countrywide suggest the average prices paid by first time buyers for homes in different regions range from just £140,000 (in Scotland and Wales) to £365,000 (in London). However, the 10 per cent of first time buyers purchasing more expensive properties spend from £204,800 (Wales) to £618,500 (London). It is thought that FTBs saving stamp duty on a full £300,000 will be some £5,000. Labour has already backed the Chancellor's initiatives on stamp duty. 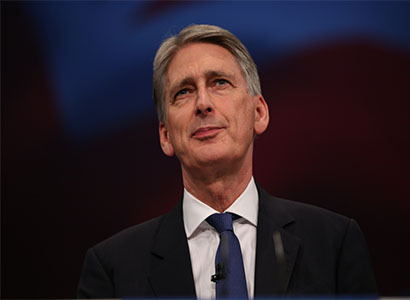 Other housing-related announcements made by Hammond include: - additional £44 billion capital funding, loans and guarantees for extra homes - up to 300,000 a year by mid-2020s; - concentration of new homes in city centres and around transport hubs; - five new garden towns developed by public/private partnerships; - urgent review to look at gap between planning permissions and housing starts, to report by spring next year; - help to develop new homes on smaller plots; - longer tenancies in the private rental sector with (yet another) consultation on the objective; - give local authorities the power to charge 100 per cent council tax premium on empty properties; - aim to eliminate rough sleeping by 2027 with three new pilot projects in short term.